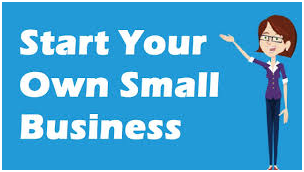 A small business, in definition, is a company that is personally owned, family owned, or owned by a small group of individuals that have full control of the business and have limited number of employees. Based on this description, a small business can be a cafe that only has five to ten employees. It could also be a manufacturing company that employs a minimum of 100 employees. Just because it is 'small', it does not mean that the preparation for it would also be small. There are things that you have to consider for you to be able to successfully open up your own small business with minimal problems. Here are some important factors you would need to learn before starting a small business. First, you have to have an excellent business plan. A business plan is like the blueprint of a business. It is the idea that is put into paper. In here, you would need to include an overview of the business itself. There should also be the history and the strategy that the entrepreneur would be using. It is vital to cover what kind of market you are targeting and why. A business plan should also contain what you are marketing and why it is worth investing on. The cost of the startup should also be added. Aside from that, you would also need to give out your plans to be able to market your product. A well thought of business plan could be your key to opening the doors to investors and financers. Second, find a good financing for startups. Many companies nowadays, offer different kinds of loans for people who want to start a small business. Some of the startup loans include business credit card loan and sba loan. The companies' managers would also guide you through the process by explaining what loan is best for you and what benefits you would be getting from each loan. It is critical to choose a lender that is reliable and does not ask for very high interest rates. You have to select one that would ensure you that the risk you are taking is something that would give you great results in the end. Third, you need to deal with legalities sooner rather than later. There are business permits, registration and more that you need to consider. The best way to understand all the laws that fall under opening and owning a small business is to talk to a business attorney. Fourth, you need to know make sure that you are hiring the best people to work for you. Finding employees is one of the most difficult and time-consuming tasks. Checking the backgrounds of the applicants is a must. You cannot just depend on what is written on their resumes. Lastly, you should be prepared on what to do to market your business. Some people find it the most expensive. But, there are ways to make marketing work with the least amount of money. Business is a risk. It takes a lot of courage and determination to open up one. You just have to trust the right people and make the right decisions.